Do you need a pest control professional to stop a pest infestation in your home? Need a pest exterminator for your home? Look no further. Masters Pest Control Sydney is a licensed pest control service provider and building inspectors. We get rid of termites, cockroaches, rats, ants, spiders and other common household pests in Australia. Keeping pests at bay is a common issue in residential areas. From cockroaches crawling in the kitchen to rats scurrying in quiet places, it may seem that there is no end to common household pest infestations. 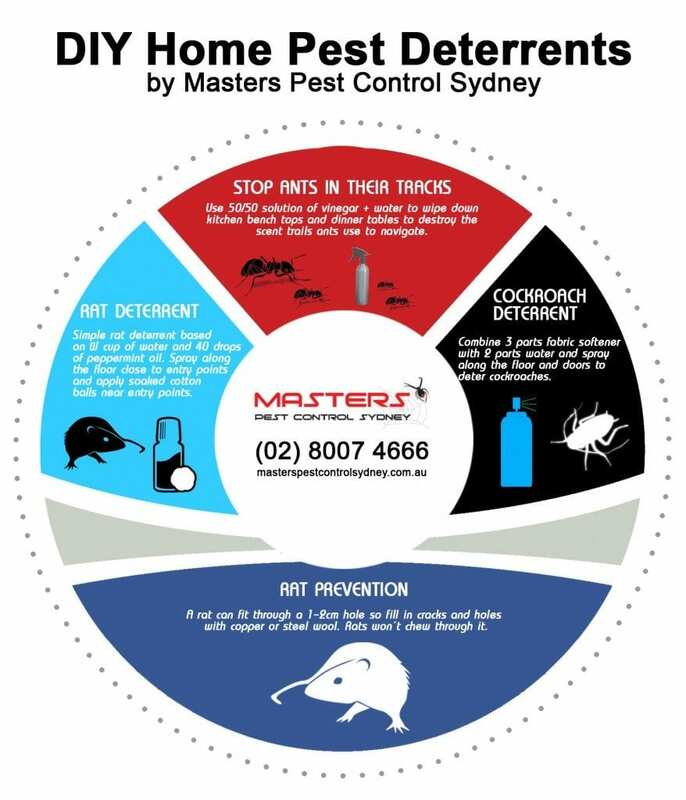 At Masters Pest Control Sydney, we're here to tell you that there is a solution. We can assure you that there is a way to keep pests from ever bugging you again. 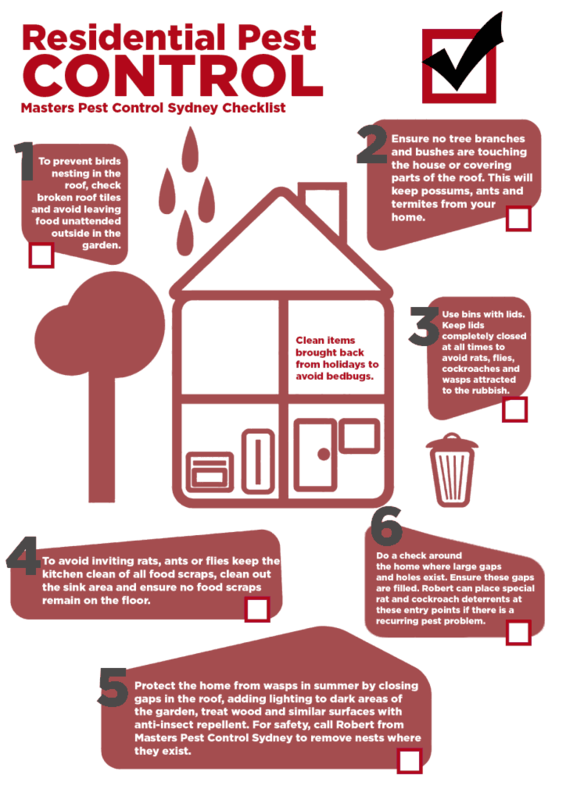 With our help, you can learn the most basic rules on all-around pest prevention. You will be amazed by how a few, simple preventive measures can keep pests out of your house for good. If you don't want chemicals used around your house, you have no need to fear. Masters Pest Control Sydney is a team of pest control experts who use organic pesticides and natural pest control solutions. Get the best pest control price in Sydney. We can match any comparable quote from other companies! Follow these tips from professional pest exterminators to keep your house pest-free. If you still suffer from a stubborn pest problem, you may consult our professional pest controllers. Call (02) 8007 4666 to get a FREE CONSULTATION. How can our pest control team remove pests from your house? We follow a special pest control program that is proven to stop pests without using dangerous pesticides in your home. Our experts will strategically remove entry points. Our exclusion comes at a fair price and provides long lasting protection from common house pests in Australia such as termites, cockroaches and mice. This step allows us to stop pests from breeding and nesting in your house. This involves covers sealing gaps between tiles and replacing broken ones, removing food and water sources, thorough cleaning and sanitation. This step involves exterminating pests in your home once and for all. We use chemical and non-chemical methods to exterminate pests that have infested your home. To ease your worries, we've created this guide to help you control home pest problems. Remember that it's still best to consult pest control experts to ensure that you're keeping nasty pests away from your home. We provide lasting pest control solutions all over Sydney. Need more help? Call the masters of pest control on (02) 8007 4666 to schedule a home building and pest inspection.